See It End It! 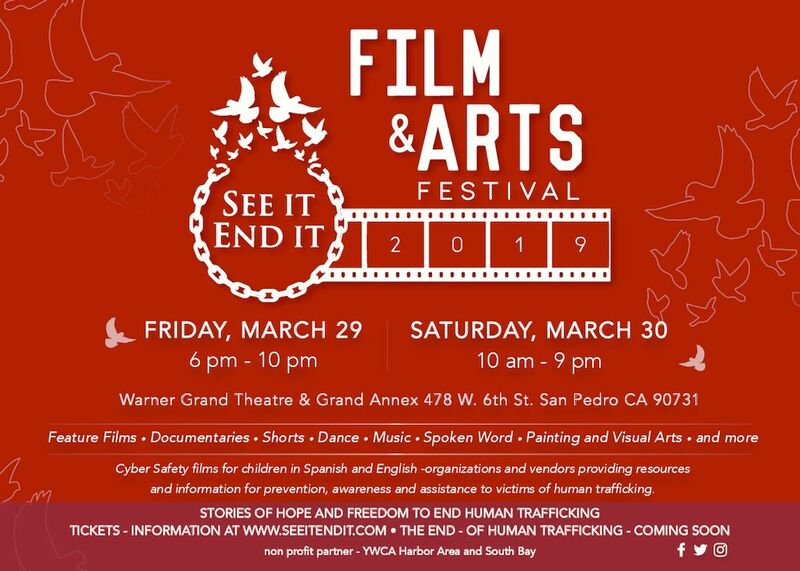 Human Trafficking Film and Arts Festival. Our goal is to raise awareness of human trafficking both domestic and across the globe and provide connection to organizations and agencies working to combat this growing criminal activity. Through diverse genres and art forms, the See It End It Festival will demonstrate that there is a place for everyone to use their passion, talents, professional and personal networks to assist in the fight against human exploitation. We encourage greater use of the arts to achieve domestic and global awareness and provide strategies to end human trafficking. Feature films, documentaries, shorts, dance, music, spoken work, painting and visual arts and more. Stories of hope and freedom to end human trafficking.